You are here: Home / General Health / Ideal Blood Pressure – What Do the New Guidelines Say? COQ10. Here lately my heart feels “pinched” and I’m pretty sure I had a stroke a few months ago because I ended up on my back unable to get up and my entire right side was completely paralyzed. I got stuck like a turtle flipped over on its shell for about four hours b4 I finally made it back up on my feet again. Within two hours after that, I had all the feeling back on my right side with the exception of my arm still feeling partially dead. I guess Im just kinda curious as to when I’m gonna actually die from this?! Any ideas? I’m 54, by the way. Not that it matters!! Thank you for your comment, you have described a very serious medical issue that needs prompt attention. Very high blood pressure that goes unchecked for many years, such as yours, will have grave consequences in the future and you are experiencing some of that now. If left untreated, your risk of death will probably be ~50% over the next 10 years (i.e. 50/50 chance of being alive in 10 years). You are young, 54 is not old, so you desperately need to take control of your health. High blood pressure is simple and easy to manage and you can prolong your life significantly. I recommend you find a primary care physician or emergency room to get your condition evaluated fully as soon as possible. At last have found a Doctor (Spanish) who has suggested my husband cut down the drug Nicorandel by half to 20mg a day. Nicorandil is a vasodilatory drug used to treat angina. The reason is because his blood pressure, since we have followed the Ornish system for reversing CVD (three years) went down below normal and now we have moved to Spain, where the weather is much warmer, it has gone hypo! Prior to seeing this doctor my husband took his bp twice a day for two weeks, the diastolic pressure is consistently, even now (5 days after less Nicoraldil), below 60 and as low as 52. We have not told this doctor that we follow the Ornish regime as that information has not been well received by any medical person in Spain or France (where we lived before moving here) up to now. The French medical staff and one private heart ‘specialist’ in spain, take a dim view of patients trying to solve their own medical condition by dieting! The lack of interest here in Europe for the dietary approach to CVD has been very disheartening because we cannot discuss progress with a medical professional or get a test done to see whether my husbands arteries are less blocked now than before. So, we have to make decisions on our own which I would rather not do but needs must! After my husband has seen a heart specialist here, (we only moved to spain a few months ago) and if he/she has the same bad opinion of dieting, I think we will just stick to the diet and slowly reduce the tablets to see what effect this has. At the moment my husband takes the following: MORNING: Nicorandil 20 mg, Bisoprolol 2.5 mg (beta blocker) reduced from 5mg, EVENING Zimvastatin 10mg. We cut that down from 40 mg after the bad press statins received. Pacemaker fitted. Any comments welcome. My husband does feel tired but when we go to the gym he can walk and do lifting, pulling and pushing weights for an hour with no problems. It sounds like your husband is doing well. Since he has CVD, I would recommend a high-intensity statin, as he falls into the “Group 1” Statin Benefit Group (https://myheart.net/articles/high-blood-cholesterol-what-do-the-new-guidelines-say/). Otherwise, diet and exercise are some of the main components to heart health and longevity (https://myheart.net/articles/10-lifestyle-habits-of-super-heart-healthy-people/). Thank you very much for your comment! I am a healthy 72 year old male who exercises regularly, aerobic and weight training. I take an alpha blocker Terazosin for high blood pressure. My bood pressure averages 133/52, sometimes the diastolic drops to low 40’s. My resting heart rate averages 52bpm. I often feel tired and if I have nothing scheduled I can sleep 12-13 hours. While asleep my pulse is in low 40’s. I have been testing oxygen levels with an Oximeter and they average 95, after exersize like running or walking a round of golf Oxygen levels drop to 91-92. I suspect that my low pulse and low diastolic are causing my lowered Oxygen levels which may be causing me to be tired. My VA doctor had me take pulminary tests and the results were all OK. I have also been diagnosed with restless limb syndrome while sleeping. My FITBIT monitors my pulse and sleep patterns on sensitve setting and indicates I am awake 40% of the time while sleeping. It is unlikely that your low pulse and low diastolic blood pressure are causing low oxygen levels, however, the low pulse and blood pressure could be causing you to be tired/fatigued. An important parameter to monitor would be what your pulse is when you exercise. If your pulse gets >100 beats per minute, then you have good chronotropic competence (i.e. heart rate response to exercise), which would mean your pulse is likely not the problem. Terazosin is not a good blood pressure medication. I would recommend an angiotensin-converting-enzyme inhibitor (e.g. benazepril) or an angiotensin II receptor blocker or a dihydropyridine calcium channel blocker (e.g. amlodipine). Potentially, a very good medication for you would be low-dose Lotrel (amlodipine/benazepril) but that would need to be discussed with your doctor. Overall, the first thing you should think about when someone has low oxygen levels and tiredness/fatigue is sleep apnea – especially since it seems that you might be restless while you sleep and not sleeping well. You should ask your doctor if a sleep study, to evaluate for sleep apnea, might be good for you. Thank you very much for your comment! I know it’s been over a yr since you posted – replying anyway in case it might help others! Have blood tests done to check for thyroid issues. One that’s not working properly can effect blood pressure with a myriad of hellish symptoms. If you get tested, I suggest a full panel to include antibody levels – I don’t remember the names – there are two of them. My tests revealed that I have hashimoto’s thyroiditis/hypothyroidism with a goiter. Then there’s hyperthyroidism which shares many same symptoms. Just a thought! Yes, thyroid issues can cause blood pressure issues and is a very easy thing to test for. Thank you for your comment! ARBs, and most hypertension medications, should not make you feel overly tired unless they significantly drop your blood pressure or heart rate. Numbness and tingling are an unlikely side effect of ARBs, so your symptoms are likely due to something else. If you continue to have symptoms, you should discuss them with your prescribing physician. I am a T2DM patient last 15 years and on medications.My syst / diast BP at cardiologist, s office is 170/70.I am taking ARB(telmisartan 40mg) and CCB (clinidipine 10 mg) a day.Cardilogist here wants to take one more Beta Blocker(Bisoprolol 5 mg) one a day.Since I am diabetic and my sr creatinine is 1.4, is it ok for me to take betablocker and whether my blood sugar will rise.My fasting sugar is 140 and HB A1C is 7.1. Your ideal blood pressure should definitely be <140 / <90 mm Hg with blood pressure medications. At this point with an ARB and CCB already prescribed, the next reasonable choice would be a diuretic or beta-blocker. Taking a beta-blocker should be fine under the guidance of your cardiologist. I would consider lowering your HgbA1c to ≤7.0% to reduce the incidence of microvascular disease and this can be achieved with a mean plasma glucose of ~8.3–8.9 mmol/L (~150–160 mg/dL). Ideally, fasting and premeal glucose should be maintained at <7.2 mmol/L (<130 mg/dL) and postprandial glucose at <10 mmol/L (<180 mg/dL). Surprisingly, blood pressure treatment targets and goals are still intensely debated. Additionally, there are differences in consensus statements and recommendations between the US, Canada, and Europe. 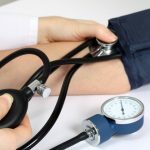 There have been recent studies showing that both higher and lower blood pressure targets are better, depending on the patient population studied. Thus, patients and physicians around the world are left with individualizing blood pressure management for essentially each and every patient based on age and underlying comorbidities – as well as factoring in patient preference. That’s why you see various differences in hypertension management. Personally, I practice under the current JNC 8 guidelines as outlined in this post. However, the American Heart Association and American College of Cardiology are reportedly developing new hypertension guidelines that should be released in the near future. I am an 80 year old man. I suffered with angina in the 1990’s and had a double heart bypass in 1996. Since then I have had excellent health, taking 2 Beta Adalat tablets a day ever since my Blood pressure always good averaging 128/73 for years. This year this medication was withdrawn and I am now on Felodipine. Since being on this medication I constantly feel as if my heart is going to burst through my chest although I am not doing anything strenuous and over the past 3 months that I have been on this medication my BP has risen to an average of 150/ 87 with highs as much as 168/103. My Gp doesn’t seem bothered about these readings, should I be? I’m sorry that your blood pressure was well-controlled with one medication, now after changing medications, your blood pressure does not appear to be very well-controlled. Given your history of ischemic heart disease, your blood pressure should be at least less than 140 / 90 mm Hg. If your blood pressure is indeed greater than 160 / 100 mm Hg, that is unacceptable by most medical standards, regardless of your age or underlying comorbidities. You should have a discussion with your physician, if you are not satisfied, then you can always obtain a second opinion. Thank you for this good information. I’d like to ask about the accuracy of Blood Pressure reading equipment. I have had a couple of blood pressure readings last year of 154/74 and 86 using those cheap white plastic cuffs ( I see them on Amazon for $10.00). In between these readings I have had the hand operated manual cuffs and they were significantly lower anywhere from 120/78 to 136/74. Do you hold a lot of faith in these cheaper cuffs? If so I would consider myself borderline for meds. I have no health issues otherwise. I am a 61 year old female. Some cheaper equipment may have some issues. I would go by the measurements made in your doctor’s office, then correlate your measurements to theirs. The decision to start a medication should be based on quality measurements using reliable equipment. You did not mention his starting blood pressure, but if it was >150/90 mm Hg, then he needs to be started on a medication. I agree with you though, if diet and exercise changes begin to lower his blood pressure then some (if not all) his blood pressure medications could be reduced or discontinued. As far as a blood pressure goal moving forward, if your husband is without diabetes or chronic kidney disease his ideal blood pressure should be <150/90 mm Hg, but this may change in the future. 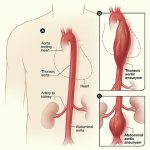 A recent trial (Systolic Blood Pressure Intervention Trial [SPRINT]) suggested a lower systolic blood pressure goal of <120 mm Hg is better, but I would not go any lower than that (the average systolic blood pressure was 121.4 mm Hg, meaning more than half of the patients never even achieved <120 mm Hg). Ultimately the potential benefits of lowering blood pressure must be weighed against the harms. The benefits for each person must be discussed with your physician, so that the choice can be personalized. Thank you for a most illuminating article. I am 82, have Marfan syndrome, a leaky aortic valve, and moderately distended aorta (but stable over the last few years). I have had at least 4 TIAs but none for about 5 yrs. I take Simvastatin 40mg/day, Clopidogrel 75mg/day, Doxazosin 2mg late in the day to try to depress evening BP, and Levothyroxine 175mcg/day (rather more than TSH would suggest, but I need it to feel well). I have severe breathlessness on exercise, and collapsed during a short walk the other morning. My BP (measured with a mercury manometer) tends to be very low in the mornings (60/40 to 90/60), but rises in the evenings to 120/60 to 160/65. My diastolic rarely rises above 60. It seems from reading this article that I have diastolic hypotension, but how can I treat it without pushing my systolic too high in the evenings? I have been advised to keep my systolic below 130 to avoid further damage to my aorta and valve – not quite practical at the moment. I always take a large drink of salty water every morning before rising, and I drink at least 6 pints throughout the day. I am in the UK. Yes, this can be a difficult situation from a blood pressure standpoint. However, your systolic blood pressure is most important given your history of Marfan syndrome and dilated aorta. I would follow the blood pressure recommendations set forth by the physician monitoring your aorta. You must be a very busy person so thank you for the time that you devote to answering these questions. I am a 67 year old slim male with a BP of 126/65. This seems high on the S side and low on the D side but according to your recommended numbers it’s all too low. The only thing that I have going on medically are very rare episodes of A Fib maybe once a year that don’t last very long. Should my BP be higher? A blood pressure of 126/65 is within normal limits for you. A low blood pressure is only problem if it causes symptoms (e.g. lightheaded or dizzy when standing, extreme fatigue, pre-syncope or syncope, etc. ), but I would not expect that from a blood pressure of 126/65. It sounds like you are exactly where you need to be, keep up the good work! Hi I am a 37 year old male my bp rages from 130/80 to 145/84 form time to time but when I work out and jogg it’s goes to 127/84 so is it safe to jogging everyday to keep it low I don’t want to go to meds. Also what should I do now to keep a healthy heart and bp before I get in my 50s . Yes, exercise can lower your blood pressure and keep it low to prevent initiation of medications. You can follow the 10 Lifestyle Habits of Super Heart Healthy People here: https://myheart.net/articles/10-lifestyle-habits-of-super-heart-healthy-people/, in order to keep a healthy heart well past your 50s. Thank you very much for your question! O one more question for how long can a person maintain 140/80 is it something safe. Technically, if you have no other medical problems, that blood pressure is acceptable indefinitely. However, I would suggest achieving a normal blood pressure (120/80 mm Hg) with lifestyle changes as much as possible. Without any additional medical problems, 130/80 mmHg is fine for you at this time. However, I would suggest lifestyle changes to get your blood pressure closer to normal 120/80 mmHg. Reducing salt intake would probably be helpful for you, goal 2-4 grams a day. Thank you very much for your question! Thank you for your kind words. If you have no medications, then there are not many options. I could suggest liberalizing your salt intake, but as a cardiologist, that is a difficult recommendation to make. I would recommend to continue what you are doing currently, and not worry too much about your isolated low diastolic blood pressure. Overall I think you are doing great with your health, congratulations! Yes, lowering salt intake will reduce blood pressure and improve arterial vessel elasticity. I am a 65 year old male being treated for hypertension with 25 mg chlorthalidone, 100 mg losartan, and 10 mg of amlodipine. My medicated BP has been around 116/72. I recently lost 25 pounds and have been monitoring my BP at home and it has now dropped to 105/63 but the diastolic pressure is frequently in the upper 50s and the systolic pressure also had dropped below 100. One morning both were this low after getting up and nearly a day since I took my meds. I am not tired or light-headed, but are my hypertension meds driving my BP lower even if my weight loss had brought it down to a normal level? I do have CKD from having untreated hypertension throughout my 30s. Yes, your blood pressure is likely lower because of your weight loss. This is a well-known phenomenon, and you should be congratulated! If your systolic blood pressure remains <110 mm Hg for several days/weeks in the setting of your ongoing weight loss, then you should discuss with your physician the possibility of decreasing some of your blood pressure medications. Thank you very much for your question!